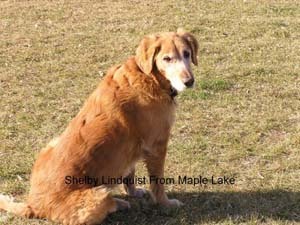 Shelby is a spoiled 10 year old Golden Retriever. When we travel we need to board Shelby at a clean, well run kennel that she feels comfortable with the people. Shelby loves the social time with all of her pal’s. An older dog has special needs and Grand paws always take excellent care of her. Grand Paw’s is a kind and loving place our dog love to go to.